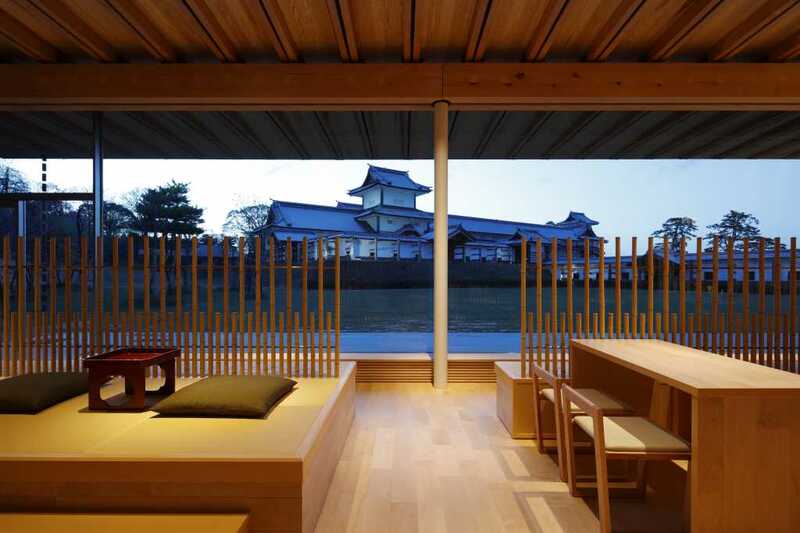 There is a traditional Japanese castle called “Kanazawa Jo”, crowded with many tourists every day, in Kanazawa City, Ishikawa Prefecture, Japan. The vast site with Kanazawa Jo in its center is called Kanazawa Jo Park. 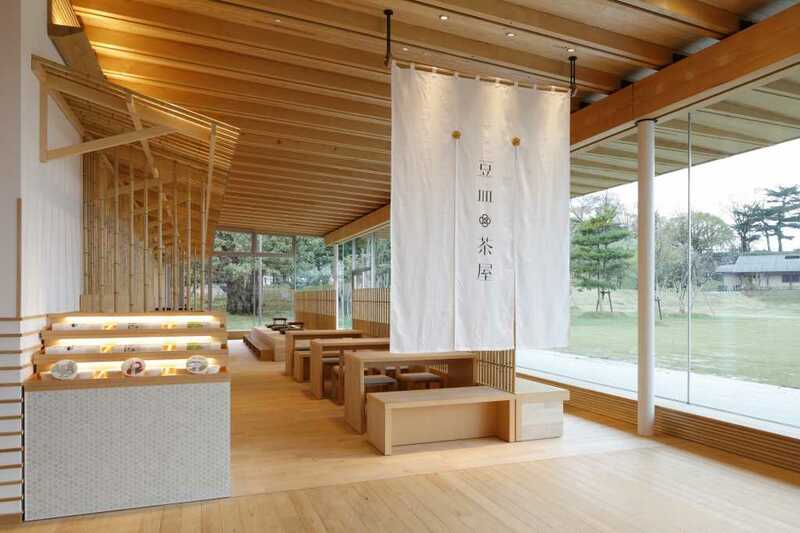 As a place to relax for the people who visit Kanazawa Jo Park, “Tsurunomaru rest house” is completed, and “Mamezara cyaya” (Small dish teahouse) opened in it. 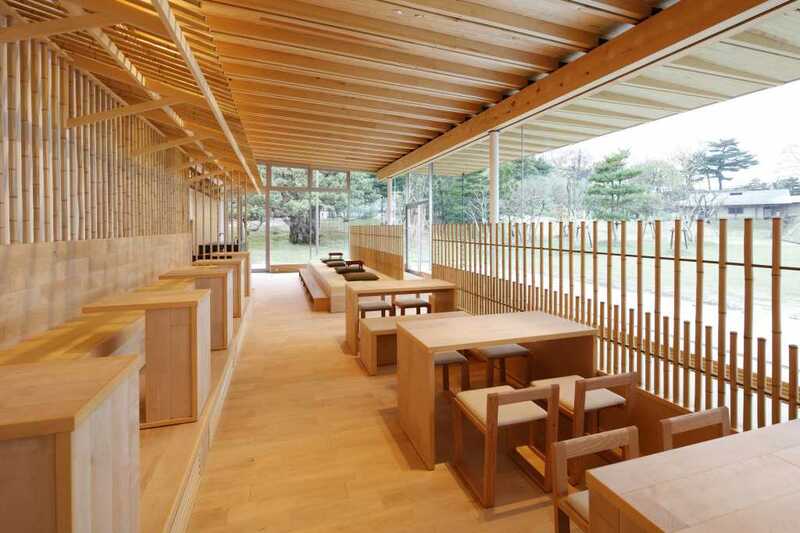 In this teahouse, guests can overlook the Hashizume-mon and Gojikken-nagaya, that are the attractions of the castle, enjoying Ishikawa prefecture’s famous foods on the small dishes. 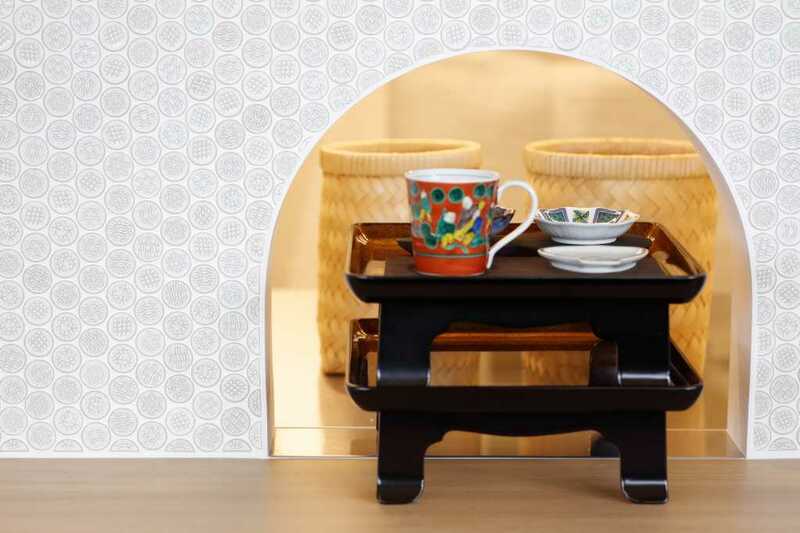 We planned a relaxing space avoiding excessive design in order to create a good match with the beautiful scenery. 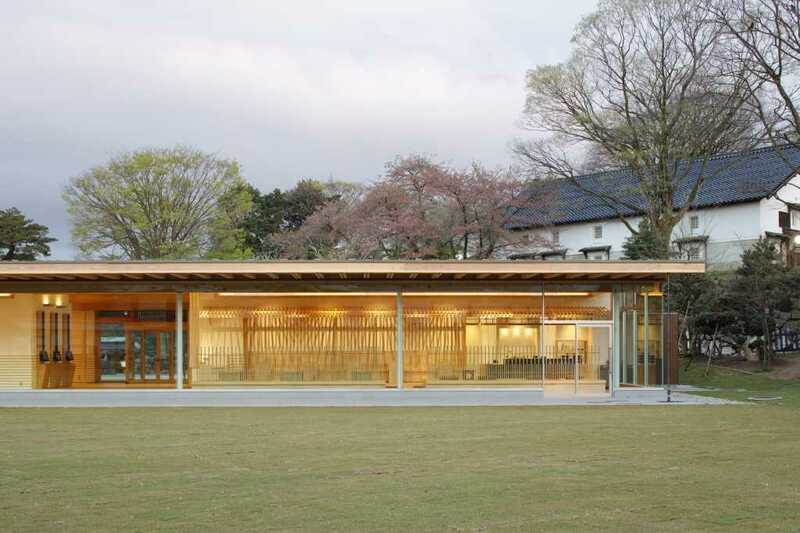 Three seating areas are divided with natural bamboo materials; garden viewing bench seats, table seats which is also suitable for wheelchairs, and raised-floor seats which elderly people and overseas guests prefer.